Please only use this ticket submission for issues with an existing site – for clients only. Tickets are VERY important to create and maintain for documentation, history and for timekeeping. Please be VERY clear and remember to include the URL (path) to where the problem is, what is it that is happening or not happening and what you want to happen. If possible add a screenshot of the error as well as describing the error. The clearer you are, the faster the problem can be solved. A support ticket always have a status: Pending, Open or Closed – To ensure your satisfaction only close a ticket when you agree that support fixed it completely. Your feedback is always welcome! A ticket will auto-close if activity is low or too late. You can always Re-Open a ticket. For at oprette en supportsag! Opret aldrig mere end 1 spørgsmål vedr. den samme problemstilling/sag. Såfremt du har 2 forskellige spørgsmål skal du oprette 2 sager/tickets/spørgsmål. Du vil få en e-mail, når vi besvarer din henvendelse med link til sagen. 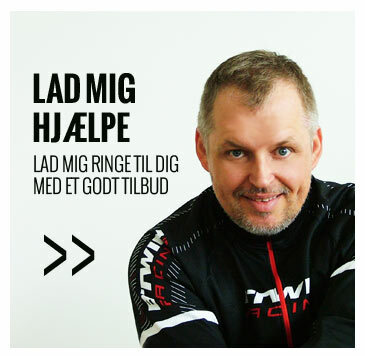 Du har mulighed for, at tilføje flere oplysninger til din henvendelse via linket. Men sørg for at beskrive alting grundigt og give os adgang til de ting vi skal arbejde med. Du kan tilgå dine supportsager via din bruger-konto (se top venstre på siden, i den sorte bjælke med dit navn, når du er logget ind) Du kan også disse her på ydersiden hvis du fortrækker det. We will only invoice you for tickets that is not related to existing sites or our previous work. Issues that are in the scope of the agreement and task. If you have full access to your site – You also have full responsibility. If you gave us the job we will do it like pro’s. If you change passwaord or other access – please inform us to avoid extra time on your bill.